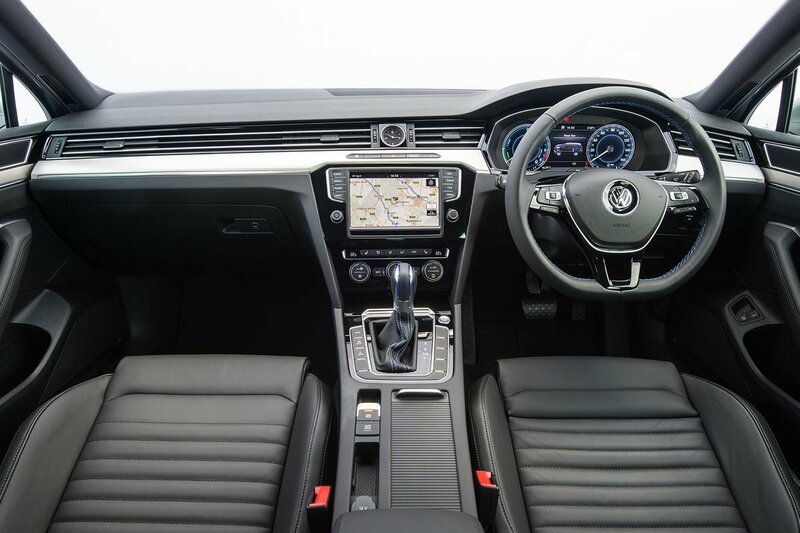 Volkswagen Passat Estate GTE Interior, Sat Nav, Dashboard | What Car? 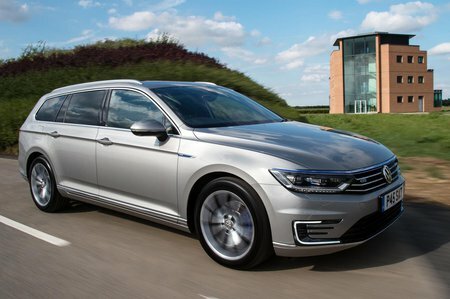 The GTE is just as comfortable as any other high-end Passat model. Electric seat adjustment and adjustable lumbar support on the broad, comfy seats means that every shape of driver should be able to get comfortable. Visibility is excellent in the estate, and very good in the saloon, although both get parking sensors as standard to help out in a tight spot. Standard LED headlights also make for excellent nighttime visibility. The dash is a real selling point, since it feels a class above that of rivals such as the Ford Mondeo. Everything feels meticulously finished and screwed together, with broad horizontal strakes running through the vents and dash, and soft-touch materials making the cabin look and feel really top-notch. You get a 6.5in colour touchscreen as standard, which is one of the best systems out there, as it’s logically laid out and quite easy to use, even when you’re driving. 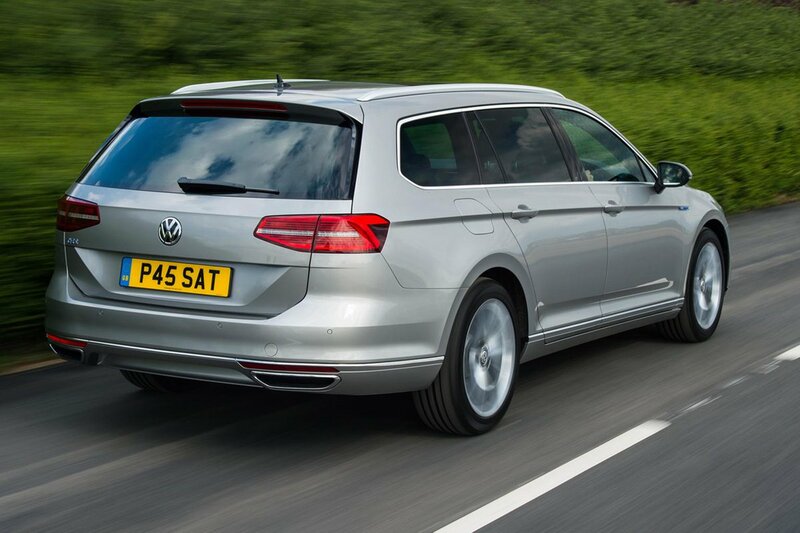 All the connectivity features you could want are thrown in, too, including sat-nav, although you’ll have to pay extra for GTE Advance trim in order to step up to the full-size 8.0in touchscreen rather than the standard 6.5in version. The switches for the standard climate control are a doddle to use, and the dials are very easy to read and see.